Knowing how to practice scales properly will help you navigate them more fluidly and musically. There are two elements at play here - the physical and theoretical aspects of scale navigation. The physical involves getting your fingers used to both vertical and horizontal movements across the fretboard. The theoretical involves knowing how to move between the key intervals of a scale beyond mere guesswork. This series will guide you through how to apply both these elements effectively in your scale practice. By the end, you'll have a solid process for practicing guitar scales and a variety of exercises to develop your speed, timing, technique and even just for warming up. First, it's crucial that you use a metronome when you practice guitar scales, or any lick, in order to develop your speed gradually. Jumping straight in at higher tempos will not only prove difficult, but will also neglect developing your timing and technique at slower tempos which is just as important. In a nutshell - start slow and only speed up when you can play flawlessly at the current tempo. What BPM (beats per minute) should I start at? Whatever feels comfortable. However, in this example, we're starting at 80 BPM. This is a good base tempo for developing our timing. It may sound slow, but as we progress we'll be cramming more and more notes between each beat. So, set your metronome to 80 BPM. We'll be using alternate picking for these exercises. The first exercise is very simple (and a bit dull, but essential!). Move up and down the scale in a linear sequence starting at whichever fret you choose. With the metronome at 80 BPM, start with one note every beat (click). This is known as playing quarter notes. The note should last the duration between each click. 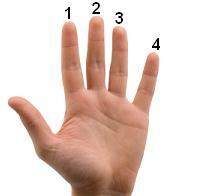 Count in groups of 4 (known as 4/4 time). This will help you when you later come to accenting notes on certain beats. Yes, this is VERY slow, but we're just getting our fingers familiar with the scale pattern. This is important for developing muscle memory. It also trains our ears to the tonality of the scale. When you can play up and down the scale with clean and even note separation, without any mistakes, move the metronome up another 10 BPM (so we'd be at 90 BPM in this example) and play the same sequence. So we're exploring the scale's tonality at the same time as building up our physical confidence with it. We'll look more at actual harmony when learning how to practice scales over chords. Combining harmony with fluid movements across the fretboard is a key scale mastery element. Keep notching up the metronome in increments of 10 BPM, but only do so when you're 100% confident with the current tempo. Challenge yourself by navigating up and down the scale in unusual ways. We'll add more structure to these movements in later parts. Once you comfortably get to around 200 BPM, bring the metronome back down to 80 for the next stage. So it is literally double the speed of the first exercise, but still comfortable. Again once you can play a variety of scale movements at your base tempo (80 BPM in this case), push the metronome up 10 and follow the same process. As you approach 200 BPM, it will start to get more challenging. Try and resist jumping ahead of yourself. You'll likely encounter more hurdles with eighth notes and have to spend longer on the higher tempos. Have patience and persistence! Ah, now you can tell it's going to get a lot more challenging at the higher tempos! Just stay focussed on your base tempo to begin with. Increments of 10 BPM like before. As you approach 100 BPM, you'll most likely need to move back to more linear scale movements. That's fine. We're just getting our timing sorted at the moment. A lot of runs and fast legatos are played in sixteenths. Now, this isn't necessarily about "how fast can I play?" and remember, don't touch that metronome until you can play at the current tempo in your sleep. Getting to 120 BPM will be fast enough for most guitarists. If you want to shred, sixteenth notes at 160 BPM is a solid goal to work towards. It'll take some time, but you will get there with enough patience and persistence following this process. So why have I taught you such a long, drawn out process for learning how to practice scales with a metronome? Well think of it this way. If you started at 80 BPM playing quarter notes, and instead of increasing the metronome's tempo you went straight to playing eighth and sixteenth notes at 80 BPM, that's too big a jump in my opinion. By keeping your note values constant as you push the metronome up, you get a much more gradual increase in speed and therefore you'll be less inclined to jump ahead of yourself. The smoother and more subtle the transition, the easier it is for your mind to process, and therefore your fingers to apply the increase in tempo. Remember, any change in tempo should be based on how confident you are with the current tempo. More on how to practice scales in the next part.